Business Buzz are proud to be winners of the Networking Group of the Year Award at the 2013 Herts FSB awards which took place on 13th June. The glittering awards ceremony attracted businesses from all over Hertfordshire to cheer on the finalists of this year’s awards. 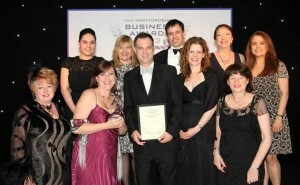 Guests were treated to a three course dinner at Shendish Manor and the Buzz team celebrated their win! Business Buzz is looking for hosts for its networking meetings. If you are interested in becoming a Business Buzz host, and would like to run your own networking group, contact us and share in our success!